Ken Kunin is the owner of Revolution Fitness which he started 10 years ago. Ken is an executive master trainer. He holds a degree in East Asian studies and minor in Communications. Ken has been training people and been working in Wellbeing since 1990. 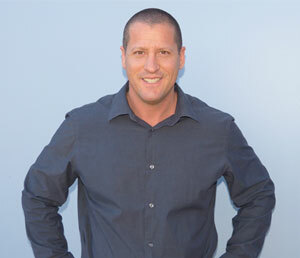 Revolution Fitness began when Ken moved from Los Angeles California to Brisbane in 2002. He is also the developer of “Time managed Fitness and Demand and Supply Nutrition. Ken’s greatest asset is his ability to coordinate and motivate. 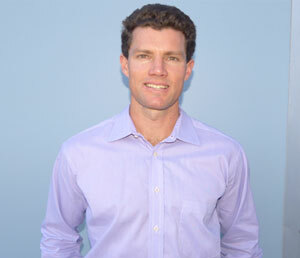 Jarrod Black is an Exercise Physiologist who has 9 years of training experience. He excels in injury prevention and rehab as well as training athletes and working with an older population teaching them to keep healthy and strong as they age. Jarrod is fantastic in his ability to find solutions to difficult challenges. Kathy Sharp has 15 years of nursing experience. She also has 10 years of personal training and Pilates instruction experience. She has a fantastic balance of both clinical and teaching experience. She also teaches Yoga. Kathy is both direct and inspiring. 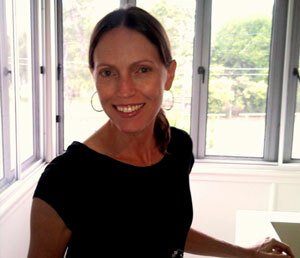 Kate Mutimer is a behaviour Psychologist with 10 years of private practice and corporate experience. 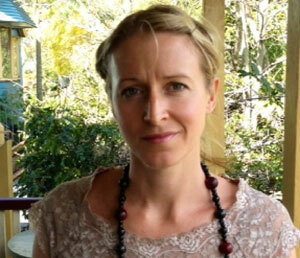 She has worked in multidisciplinary teams and is skilled in treating mood and anxiety disorders. Kate has a wonderful trait of putting everything into perspective when it seems the world is coming undone. Revolution Fitness now provides cutting edge corporate health and wellbeing programs. Whether you have an existing program in place that needs improvement or are starting from scratch, we can provide a total turnkey system. What sets us apart from our competition is our ability to service every employee, regardless of their location, with our unique online components. We have taken what has worked from traditional health and wellbeing programs and added our own modern approach. Too many programs in the past have been ineffective because of a lack of personal attention and a lack of regular instruction, feedback and motivation. We can work within the framework of your existing calendar of events by implementing our own online video clinics to support certain topics you already have in place. For example, if reducing blood pressure is the focus of the month, we will provide an online video clinic on ways to reduce blood pressure, and its associated health benefits. If you don’t already have a health and wellbeing program in place we can provide a yearly calendar of topics and events with different online video lectures for each month. These include exercise, nutrition, reducing stress, injury prevention and treatment etc. Included with these lectures is our online help desk, where employees can confidentially email us questions relating to their health and wellbeing. Our expert panel includes executive master trainers, exercise physiologists, nurses and a host of allied health professionals including GPs, clinical psychologists, and physiotherapists. Our online personal training is also a unique component of our health and wellbeing program. Employees complete a health assessment and risk factor screening either in person or online, and based on their individual results and goals, we tailor an exercise and nutrition plan to suit their needs. They can access these monthly workouts and nutrition guides by logging in to their own private calendar. From here they just click on the day of the week and up pops the exercise routine for that day. All exercises are linked to video demonstrations and will be suited to the individual’s ability level. These exercise routines and meal plans will be updated each month as the individual progresses. To see a descriptive video of our online personal training, please visit onlinept.revfit.com. Corporate rates are available. 15 minute health assessments- Includes blood pressure test, body weight and waist measurements, risk factor screening and goal setting. 30 minute health assessments- Includes the above plus fitness testing and/or blood glucose and cholesterol testing. Design, installation, and staffing of employee gyms- We can also update existing gyms and conduct group or personal training sessions on site. Wellness retreats or events- Including cruises, charity events, walking or running groups etc. From shift workers to the CEO, we understand the time constraints and barriers each employee faces. We have a system in place NOW that will cater to improving each and every employee’s health regardless of where and when they work. Please feel free to call or email for more information specific to your companies needs. We are happy to come in for a chat and specifically show you how Revolution Fitness Corporate care can help your health and wellbeing program.